While we don't want to accept that natural hair is naturally dryer than all other hair textures, we have to. It's a tough pill to swallow, but that's why it's wise to depend on products that'll keep your curls flourishing at all times. This is where co-washing comes in. It's one of the most tried-and-true ways to retain moisture and strengthen your hair shafts. Not sure what exactly co-washing is? We reached out to two curlologists to give us the lowdown on this cleansing method that'll bring the bounce back in your curls. Senior stylist Mia Emilio of Devachan Salon in NYC and Jamyla Bennu, creator of haircare line Oyin Handmade, cracked the code on co-washing. Your cheat sheet is below. 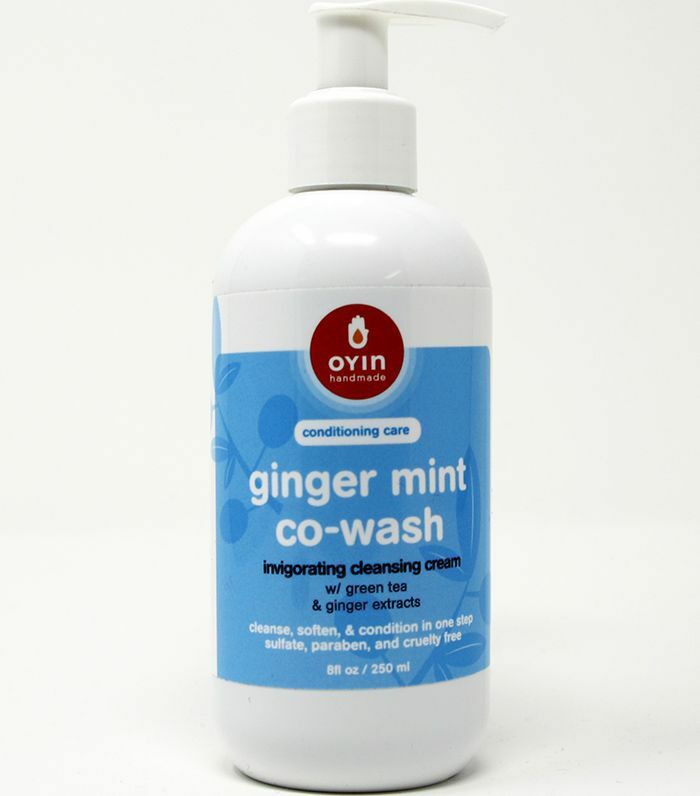 "A co-wash is the use of a specially formulated cream cleanser to remove buildup and cleanse the hair without the lathering or harsh ingredients, such as sulfates or parabens, typically used in shampoos," explains Bennu. "It helps textured and natural hair because it does not strip hair and scalp of natural oils, so your hair remains stronger and healthier with better moisture retention and less breakage." "Co-washing is using conditioner to wash and cleanse your hair," says Emilio. "Many people choose to co-wash because of the benefits of ditching shampoo, which is loaded with sulfates that strip curly hair of natural oils and can create frizz, dryness, and possible breakage. When you co-wash, you're scrubbing your scalp with conditioner as if it were shampoo. You're still cleaning the scalp to remove any dirt or residue because of the friction of your scrubbing. The main benefit is that you'll have really hydrated your hair during the cleansing process." "Conditioning is about moisture, detangling, and pliability," explains Bennu. "Protein-rich conditioners are also about strengthening or repairing damage. Cleansing conditioners have special cleansing ingredients that gently cleanse and remove product buildup, leaving you with a soft and clean feeling. It's also a huge time-saver because you're cleansing and conditioning in one step." "During your first application of conditioner, be sure to scrub your scalp," advises Emilio. "Remember the friction and scrubbing motion is what's actually removing dirt and grime from your scalp. Without friction, you're not cleaning anything. You will then rinse this completely out and apply another round of conditioner—start at your ends and work your way up to the mid-shaft of the hair. This is to detangle but also to condition your strands; this round of conditioner does not need to be applied to your scalp." Regardless of your hair texture, Emilio recommends co-washing two to three times a week to maintain healthy and hydrated curls. "Some curl types can go a little longer without co-washing, and some curl types co-wash daily. There's really no wrong or right way—it's your preference. If your hair is highly dehydrated, more co-washing is better than less often. Wetting and conditioning your hair won't harm it. The old wives' tale of not wetting your hair daily is really because of the negative effects of using shampoo daily. "My favorite is DevaCurl's One Condition," says Emilio. "I’ve been using it for the past 13 years. I’m actually a huge believer in co-washing because that’s what I do. I usually co-wash with this every three days per style and repeat. My scalp is clean and my curls are full and bouncy. Shampoo has not touched my head in 13 years. When looking for a conditioner make sure it’s alcohol and silicone-free—these ingredients will weigh your hair down and dry out your curls. Make sure your conditioner has natural cleansing ingredients like lavender, rosemary, lemon grass or even an apple cider vinegar mixture." "This dissolves product buildup with gentle sulfate-free surfactants, protects, and maintains moisture balance," explains Bennu. "It also detangles like a dream. The peppermint, ginger, and green tea extracts really tone and stimulate the scalp. 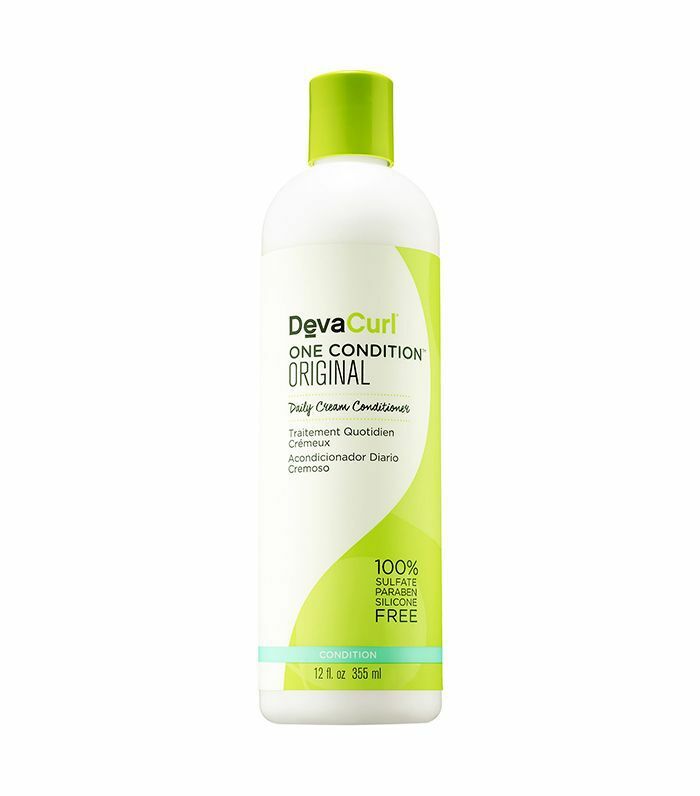 It's truly a one-step solution for clean, soft, and moisturized hair."